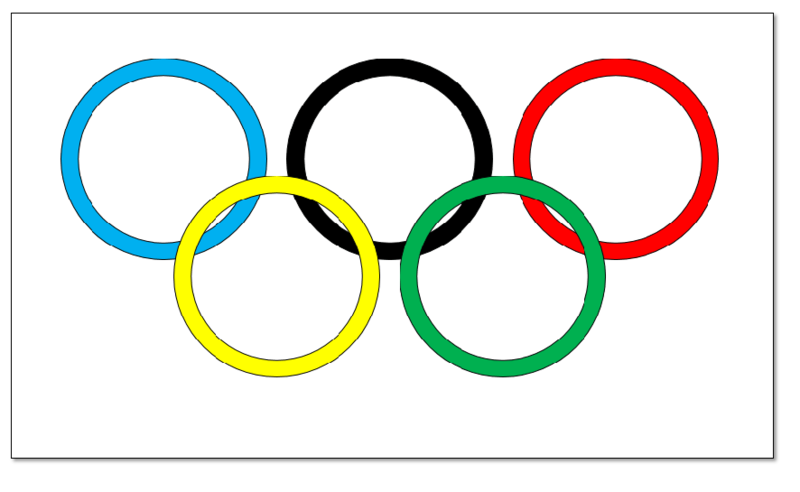 I LOVE watching the winter Olympics and I am so excited about the PyeongChang 2018 games! 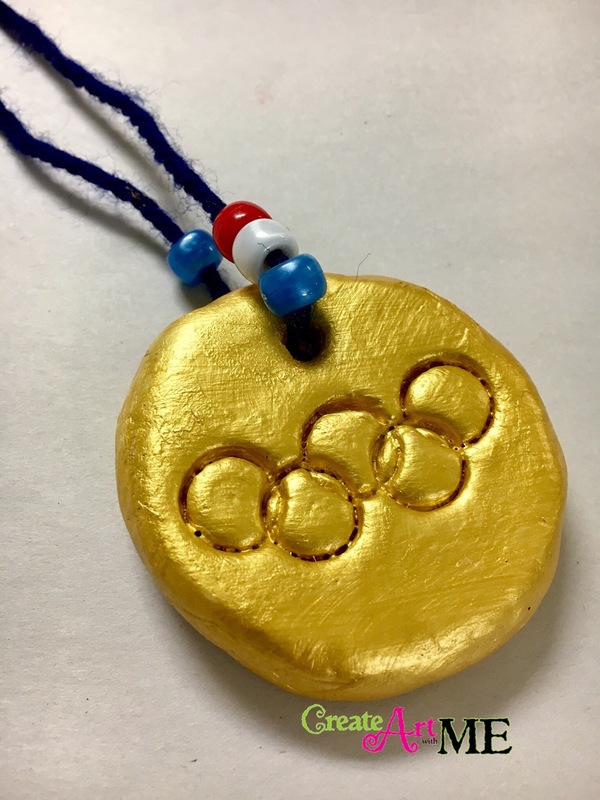 My After School Art just finished a unit on the Olympics. 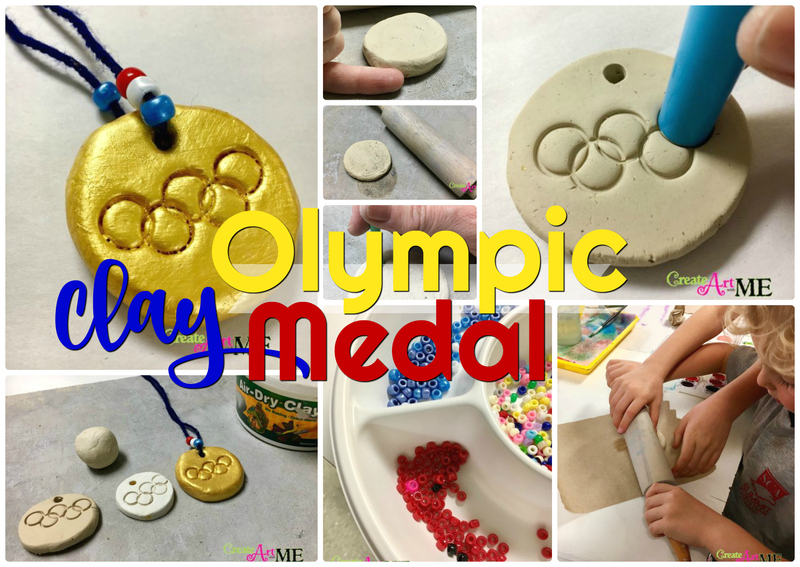 We first created an Abstract Olympic Ring Crayon and Watercolor Resist Painting. 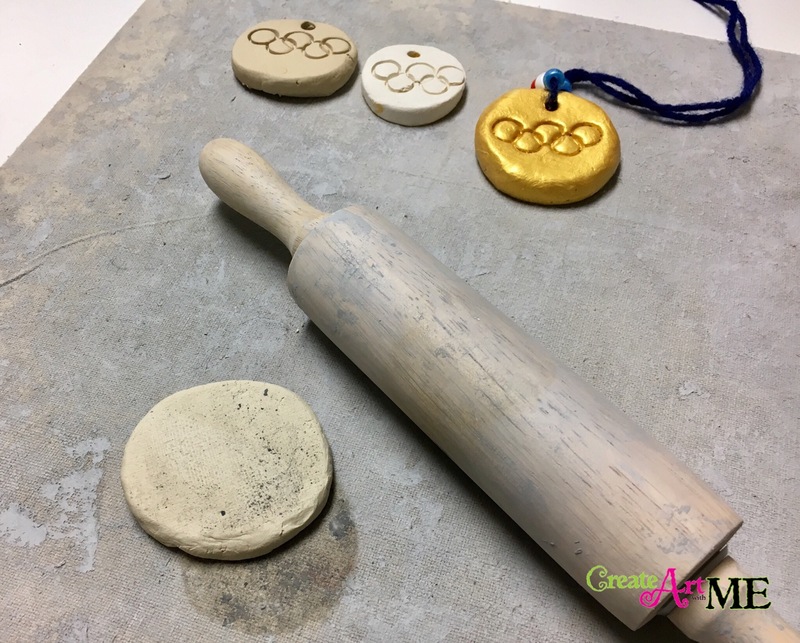 Our last project was this super-easy air dry clay Olympic medal necklace. I had extra Crayola Air Dry Clay* left over from a sculpture camp that I taught this summer at my school. These necklaces would also work great with Model Magic* or ceramics! 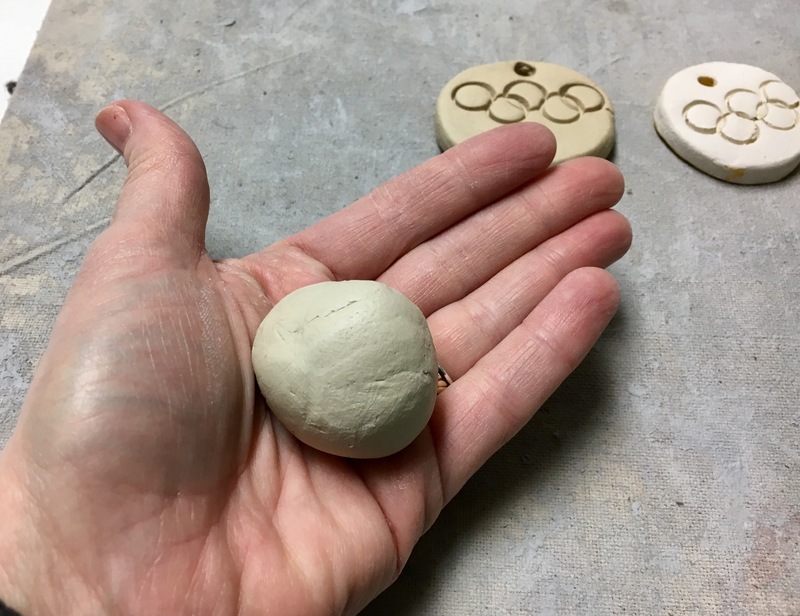 Give each student a small ball of clay. 2. 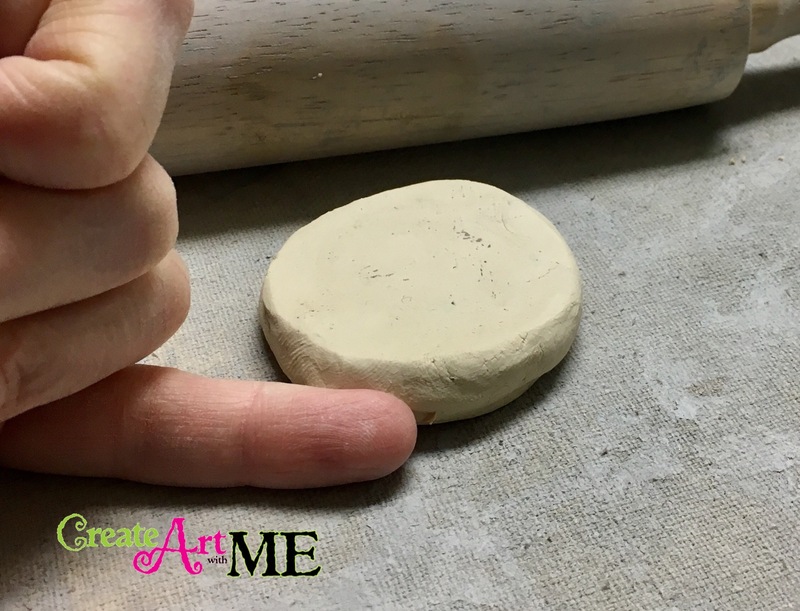 Use a rolling pin to roll the clay to the thickness of your pinky finger. 3. 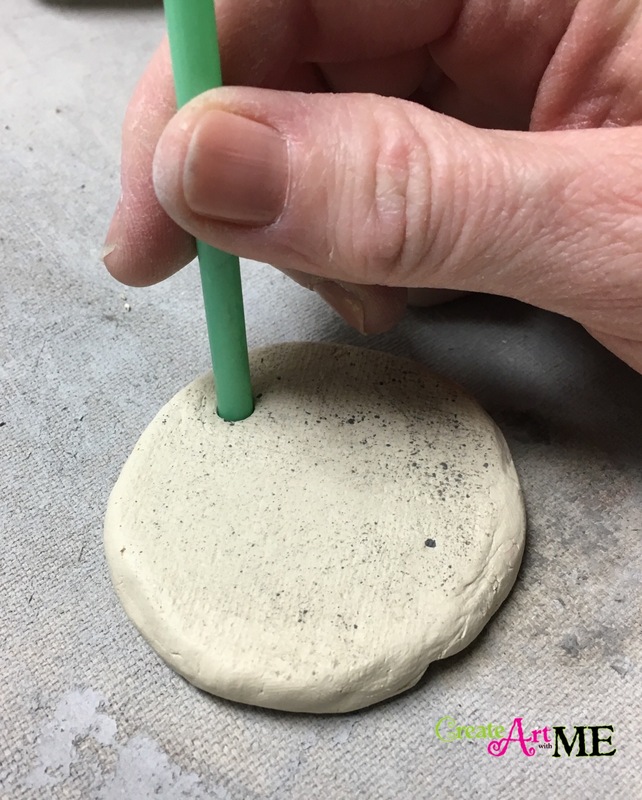 Press the straw into the clay about 1/4″ from the edge of the clay. 4. 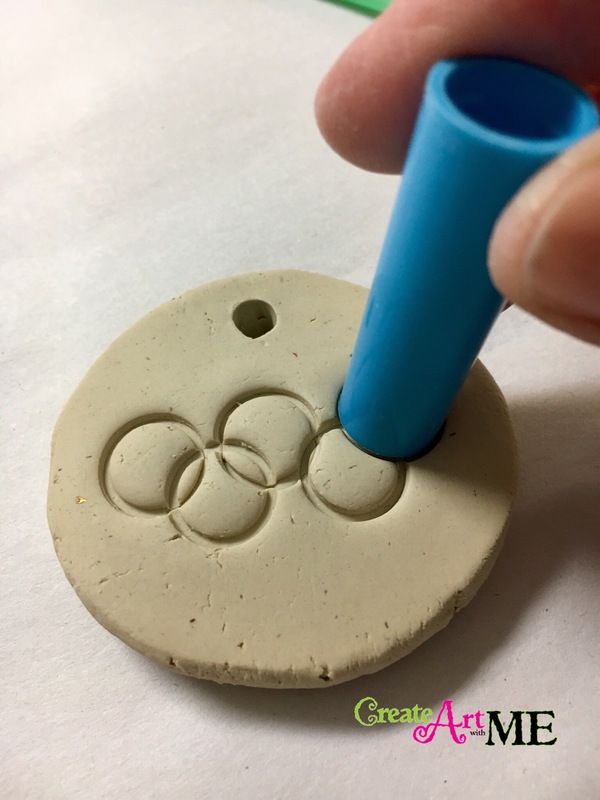 For the Olympic rings, use the marker cap to press in three rings on the top and two rings on the bottom. 5. Flip over & write initials and 2018 with a pencil. 8. Add yarn and beads as desired.